Medium hairstyles can be some of the most difficult styles to find inspiration from. 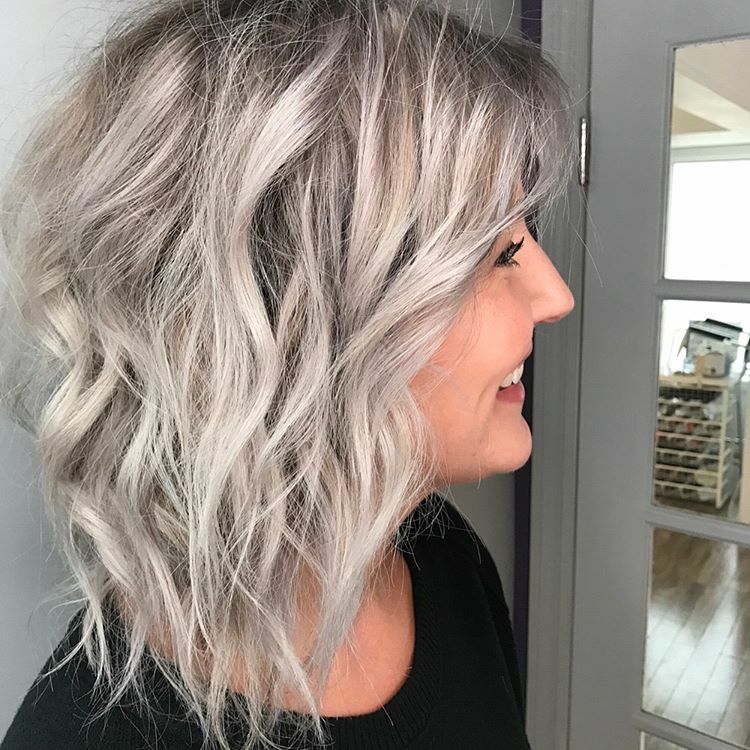 When you’re scouring the internet for your next hairstyle inspiration, there are so many incredible galleries full of pictures of short and long hairstyles, but to find a high quality gallery of hair inspiration for mid length hair can be a little more difficult. 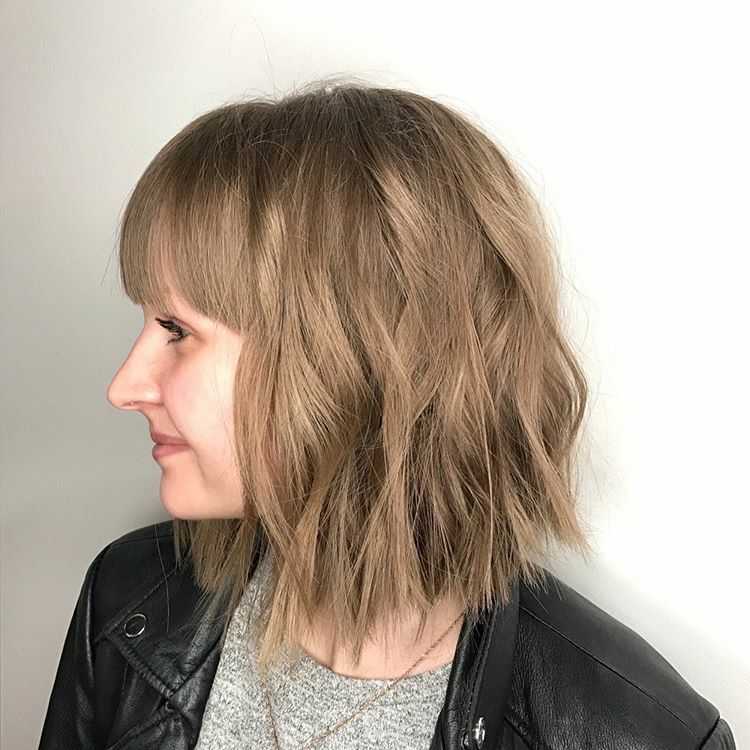 That’s where PoPular Haircuts comes in – we decided we wanted to give all you girls looking for stunning medium hairstyles a gallery full of inspiration. Here’s our perfect gallery of sassy mid length layered haircuts for your perusal. 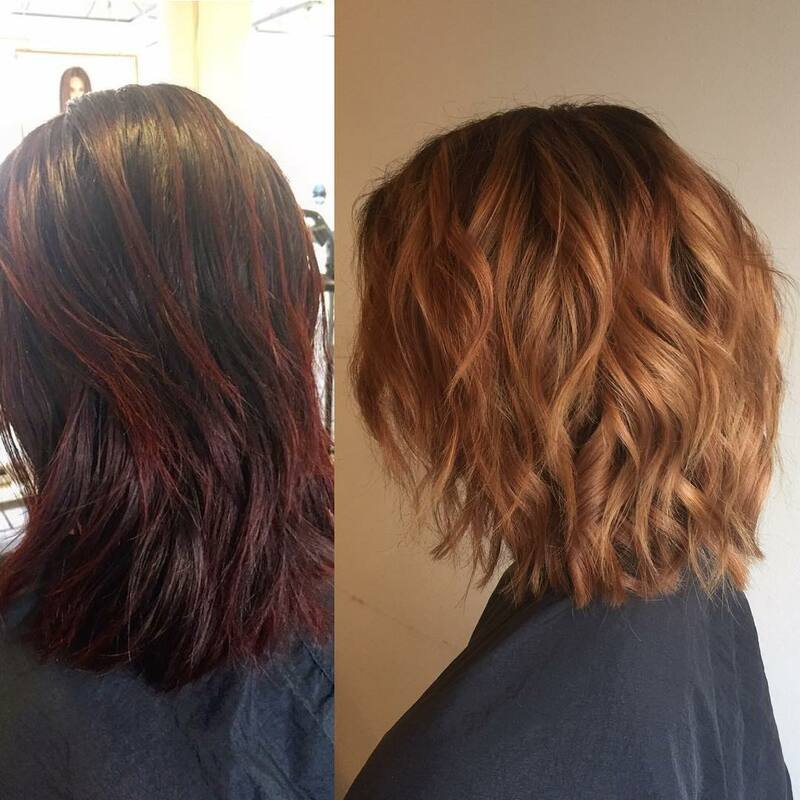 Although ‘medium’ may suggest something a bit middle-of-the-road – these exciting medium length layered haircuts are anything but!Have you seen the latest fire-red highlights in blonde hair, yet? If you fancy something really innovative, you’ll love our fabulous gallery! 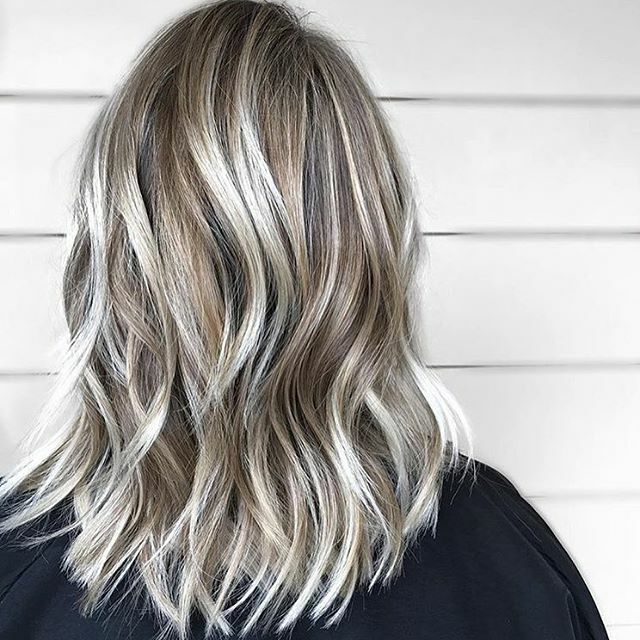 We’re getting this gallery off to a strong start with this stunning ash blonde bob. This wonderful shoulder length bob is parted to the side and finished with a sweeping fringe section for effect. Recreate this look by choosing a silver-toned shade of blonde to dye your hair. Add curls from the top to bottom and roughly tousle for the perfect day to night look. Blunt edges add a cool and contemporary look to your medium length hairstyle. Recreate this incredible style by opting for a bob which falls an inch or so below the jaw. Ensure the ends of the hair are kept in a blunt line. Cut a straight fringe which falls across the forehead and frames your face. Dye your hair brown and curl the ends for effect. 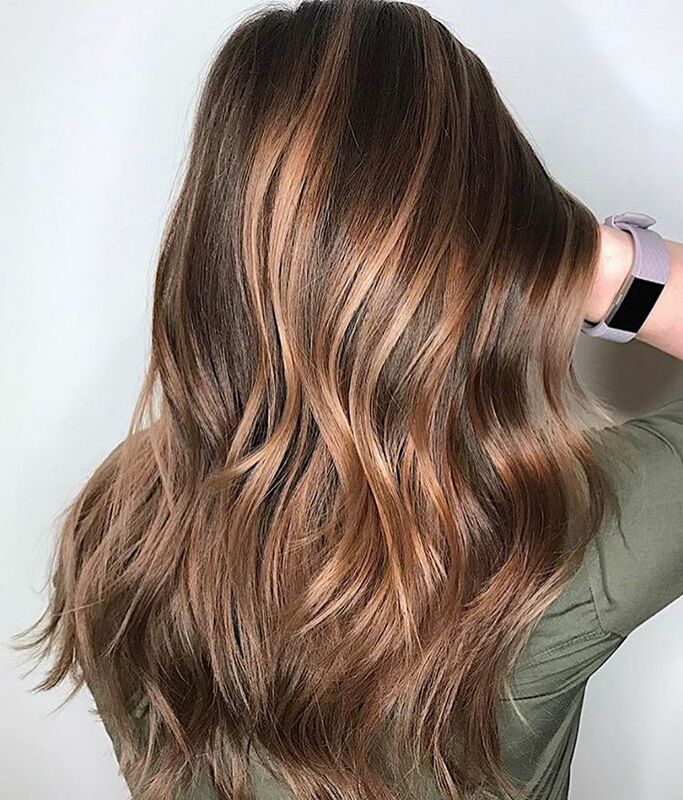 Balayage is the hair colour transition technique of blending one colour into the other in a seamless and natural manner. This bob for example, works from a stunning chocolate brown into a gorgeous red at the ends. We love this colour combination! Curl your hair into lovely ringlets to add bounce and body to the look. 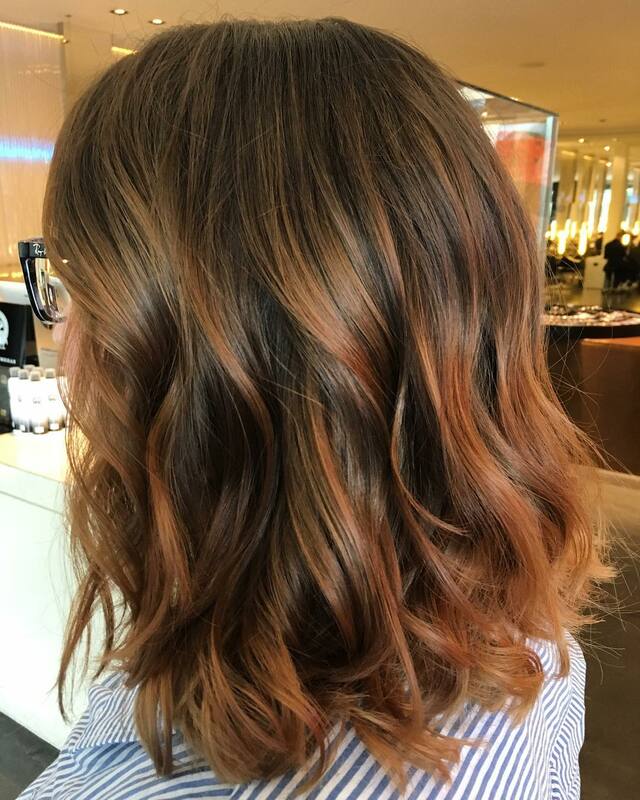 Copper is such a beautiful shade for medium length hair. This ginger tone is warm, glossy and shiny – just perfect to show off the incredible mid length cut you’re going for. Chop your hair into a bob which starts at the shoulder length and is full of short and choppy layers to the top. Add lots of tight curls throughout and don’t forget the amazing ginger colour! 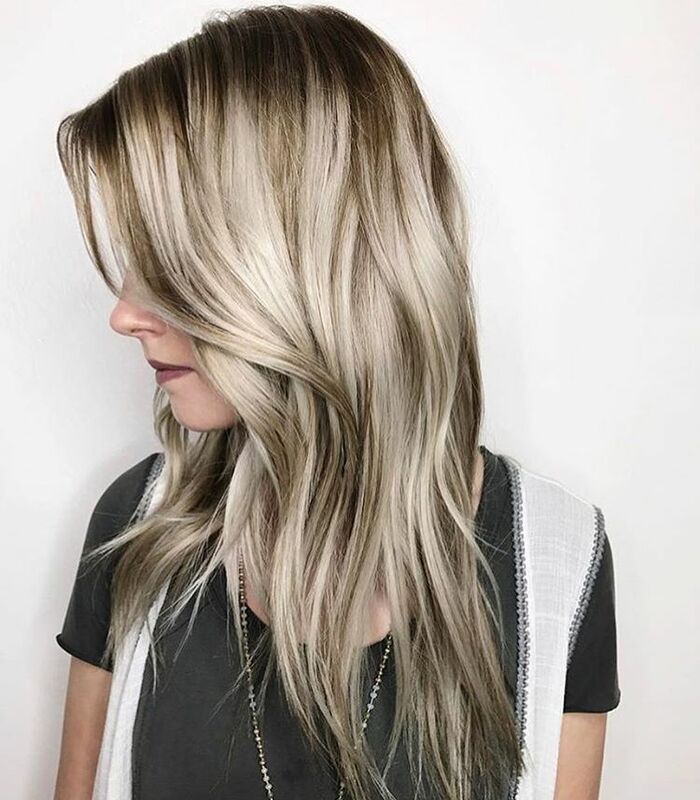 Blonde and brown work together absolutely seamlessly, as this stunning lady proves with her incredible hairstyle. Start by keeping your hair medium length, falling a couple of inches below the shoulders. Add lots of shorter layers around the face. Dye your hair a beautiful bright blonde and add lots of brown lowlights throughout for contrast. Loose waves create some of our favourite hairstyles, bringing your locks to life and making the best day to night style. This incredible look is one of our preferred styles in this gallery. Leave your hair a few inches below the shoulder. Start with a rich chocolate brown colour all over. Add lots of copper highlights throughout. Add loose waves throughout. Why choose one shade of blonde for your hair when you can work multiple into one look like this gorgeous lady has done? Start with the perfect medium length bob which falls around the shoulder length. Choose a few shades of blonde to work into highlights throughout your hair. Add lots of loose curls from top to bottom for a relaxed daytime style. I hace a very hard time styling my hair !! !